We really appreciate the feedback we have gotten since the GTN 6.50 and G3X 6.20 software release. See below for links to each software release post. \nWe are finishing up our documentation updates to accompany G3X Touch Software 6.30, but we wanted to take this opportunity to provide some further clarifications to assist you in using the new software and features. \nWe released G3X Touch 6.30 software last week with a couple of performance improvements, all feature discussions about version 6.20 are also applicable to version 6.30. \nMinimum software version 5.50 is required for the G5 to enable the below described functionality. \nWith GTN Software Version 6.50, there are some new configuration settings. \n• Select GTN Setup, Navigation Features, then Vertical Navigation. o Choose either VCALC or VNAV. \no The VCALC setting enabled the vertical calculation page as was available before 6.50 software. 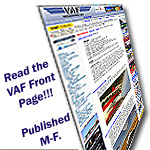 \no VNAV must be selected to enable the VNAV feature as described throughout this thread. \no Below the VNAV selection is a “transition to approach” setting. This setting should be disabled on the GTN when connected to the G3X Touch. When disabled, the VNAV guidance will end at the waypoint preceding the final approach fix (FAF) in the flight plan. \n•	Altitude constraints are set and changed only on the GTN by pressing the altitude constraint field next to the waypoint on the flight plan page. \n•	To use GTN VNAV, you must have an altitude constraint in the GTN flight plan. A good verification step is to look at the map on the GTN and see the TOD (Top of Descent) indicated on the map (see first image below). As you approach this point, the magenta arrow on the vertical deviation indicator on the PFD will start to come down and the VNAV altitude constraint should be displayed. As you reach TOD, the magenta arrow will center up on the vertical deviation indicator. \n• The GTN VNAV function does not simply draw a straight line between two waypoints vertically, but rather attempts to hold you at your current altitude until you have to start the descent to reach the next altitude constraint. Each descent will generally use the default descent angle that has been selected on the GTN. \n• The VNAV default descent angle can be changed on the GTN. Starting from the Home screen, select Utilities, select VNAV. On the VNAV page, select Menu to change the default angle. \n• The GTN\'s VNAV guidance will end at the flight plan waypoint that is just prior to the FAF waypoint. \n• There is a Direct VNAV function. The VNAV Direct-To function creates a vertical navigation path from the aircraft\'s current position and altitude to a selected waypoint\'s location and altitude. By removing any VNAV constraints between the aircraft and the selected waypoint, it allows the pilot to fly the lateral flight plan in a continuous descent and reach the waypoint at the specified altitude. In this case, the descent angle will vary from the preset descent angle. Direct VNAV is useful if a descent should be started immediately, but you have not yet reached the TOD. \nNote: this section discusses the G3X Touch but applies to G5 with AP, and GFC 500 installations. \nWith the G3X Touch and GTN combination, the VNAV flight director mode is designed to be used with vertical guidance for a descent from cruise into an approach or on an arrival. The G3X Touch flight director will typically be in ALT mode prior to intercepting the glideslope or glidepath. This should help clarify the question of when to arm GP or GS mode during an approach. While you can arm APPR any time after you have captured your last VNAV descent leg, if you are unsure of the timing of the last VNAV descent, you can always arm GP or GS mode after you cross the waypoint prior to the FAF. \nAs you see in the image below, during a GPS approach, the GTN\'s VNAV guidance will end prior to the FAF waypoint. Typically, this will result in the flight director capturing the final VNAV target altitude, with the aircraft in a position to subsequently intercept the glidepath. GP mode should be armed prior to intercepting the glidepath. \nIf you choose not to use the GTN\'s new VNAV features, you can still operate the G3X Touch flight director in the same manner as you would have with earlier software. Many of us here at Garmin will simply use Vertical Speed (VS) mode and the altitude preselect to descend to an altitude where we can intercept the glidepath or glideslope. For many approaches, where you don’t have multiple step-down fixes, this is a very simple way to operate the flight director. \nMany customers also liked the simple VNAV feature in the G3X prior to the GTN 6.50 release. You still have the option to switch back to internal navigation on the G3X for your VFR flights, which will allow use of the original, simplified VNAV feature. Often this makes sense when all you want to do is descend to pattern altitude prior to landing. \nRegardless of how you desire to operate your aircraft with regard to VNAV, we would recommend upgrading the GTN and G3X software, as you will be able to see altitude constraints on the GTN and use the new qwerty keyboard. \n• Flight director GPS mode must be active before VNAV mode can be activated. If another lateral mode such as HDG is active, VNAV mode will not be available. \n• If the aircraft is already above the VNAV flight path when VNAV mode is armed as shown in the image below, you must first use another mode (such as VS) to descend in order to capture it. Additionally, you could use the Direct VNAV feature at this time. \n• When required by the flight plan, flight director VNAV mode will fly a series of descents, leveling off at each subsequent target altitude; you are not required to arm VNAV for each descent segment. \n• VNAV will descend away from the altitude preselector if you are in ALT mode and have VNAV armed. \no If you move the altitude preselect bug to an altitude below you during a VNAV descent, ALTS mode will be armed and VNAV mode will not descend through the preselected altitude. When you reach your preselected altitude, the autopilot will level off in and transition to ALT hold mode. • If the aircraft is already above the glidepath or glideslope when GP or GS mode is armed, you must first use another mode (such as VS) to descend in order to capture it; the FD will not deviate from the current mode to try to capture the GP or GS. \nIf you would like further guidance on this feature, please give us an email or call. We are happy to help. If you send us an email of a flight data log we can usually tell what happened as well. \r\nRegardless of how you desire to operate your aircraft with regard to VNAV, we would recommend upgrading the GTN and G3X software, as you will be able to see altitude constraints on the GTN and use the new qwerty keyboard. \r\n• Flight director GPS mode must be active before VNAV mode can be activated. If another lateral mode such as HDG is active, VNAV mode will not be available. \r\n• If the aircraft is already above the VNAV flight path when VNAV mode is armed as shown in the image below, you must first use another mode (such as VS) to descend in order to capture it. Additionally, you could use the Direct VNAV feature at this time. \r\n• VNAV will descend away from the altitude preselector if you are in ALT mode and have VNAV armed. \r\nIf I read this correctly be careful with this one. Make sure you haven’t armed or selected VNAV if you haven’t been issued a clearance to descend via and arrival. It’s easy to get violated here if the airplane departs a preselected altitude without proper clearance. \r\no If you move the altitude preselect bug to an altitude below you during a VNAV descent, ALTS mode will be armed and VNAV mode will not descend through the preselected altitude. When you reach your preselected altitude, the autopilot will level off in and transition to ALT hold mode. \r\nIf you would like further guidance on this feature, please give us an email or call. We are happy to help. If you send us an email of a flight data log we can usually tell what happened as well. \r\nPIF 2008, 2009, 2010, 2011,2012, 2013, 2014, 2015, 2016, 2017, 2018. I have re-linked the pictures. Hopefully they are all displaying correctly. \r\nI agree with your assessment. You would not want to arm VNAV until you have been cleared for a descent whether it is at pilot\'s discretion or via an arrival procedure, etc. \r\n In the same way, I would not arm the approach flight director mode until cleared for the approach. Thanks guys, this will help a bunch. \r\nGreat new features, just a bit of a curve to learn how to safely use everything. I also cannot see some of the images in both posts. We are finishing up our documentation updates to accompany G3X Touch Software 6.30, but we wanted to take this opportunity to provide some further clarifications to assist you in using the new software and features. We released G3X Touch 6.30 software last week with a couple of performance improvements, all feature discussions about version 6.20 are also applicable to version 6.30. Minimum software version 5.50 is required for the G5 to enable the below described functionality. With GTN Software Version 6.50, there are some new configuration settings. • Select GTN Setup, Navigation Features, then Vertical Navigation. o The VCALC setting enabled the vertical calculation page as was available before 6.50 software. o VNAV must be selected to enable the VNAV feature as described throughout this thread. o Below the VNAV selection is a “transition to approach” setting. This setting should be disabled on the GTN when connected to the G3X Touch. When disabled, the VNAV guidance will end at the waypoint preceding the final approach fix (FAF) in the flight plan. •	Altitude constraints are set and changed only on the GTN by pressing the altitude constraint field next to the waypoint on the flight plan page. •	To use GTN VNAV, you must have an altitude constraint in the GTN flight plan. A good verification step is to look at the map on the GTN and see the TOD (Top of Descent) indicated on the map (see first image below). As you approach this point, the magenta arrow on the vertical deviation indicator on the PFD will start to come down and the VNAV altitude constraint should be displayed. As you reach TOD, the magenta arrow will center up on the vertical deviation indicator. • The GTN VNAV function does not simply draw a straight line between two waypoints vertically, but rather attempts to hold you at your current altitude until you have to start the descent to reach the next altitude constraint. Each descent will generally use the default descent angle that has been selected on the GTN. • The VNAV default descent angle can be changed on the GTN. Starting from the Home screen, select Utilities, select VNAV. On the VNAV page, select Menu to change the default angle. • The GTN's VNAV guidance will end at the flight plan waypoint that is just prior to the FAF waypoint. • There is a Direct VNAV function. The VNAV Direct-To function creates a vertical navigation path from the aircraft's current position and altitude to a selected waypoint's location and altitude. By removing any VNAV constraints between the aircraft and the selected waypoint, it allows the pilot to fly the lateral flight plan in a continuous descent and reach the waypoint at the specified altitude. In this case, the descent angle will vary from the preset descent angle. Direct VNAV is useful if a descent should be started immediately, but you have not yet reached the TOD.